Come and enjoy the warm and friendly atmosphere of a typical Irish pub. If you are a beer lover, you will always find the best national and imported brands at The Shamrock Bar & Eatery, along with a tasty and varied international cuisine menu. 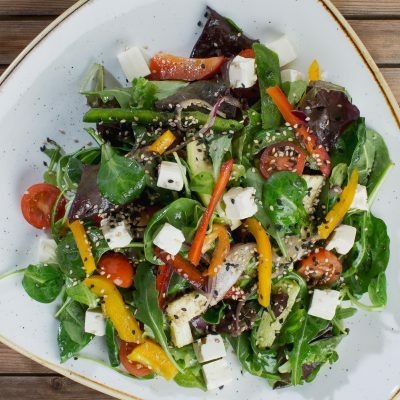 Assorted roast vegetables, mix of lettuces, cubes of feta cheese, balsamic vinagrette and Basil oil. 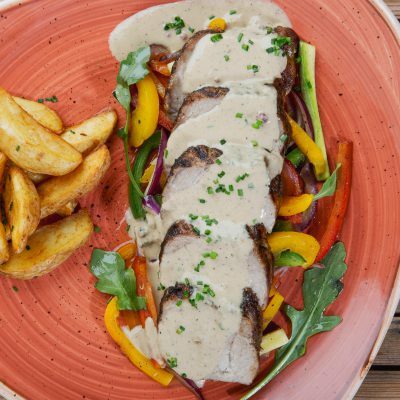 Delicious pork tenderloin medallions seasoned and chargrilled, with side option. 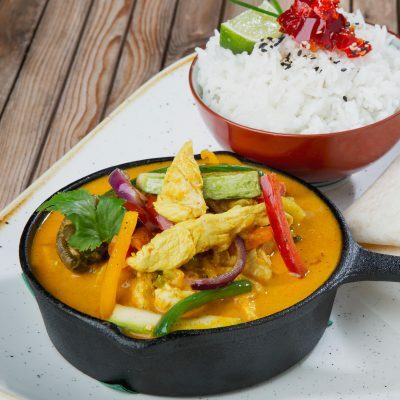 Spice up your day with our curry dishes from around the world, All our curries are accompanied with rice and flat bread. Ask our staff for today's! 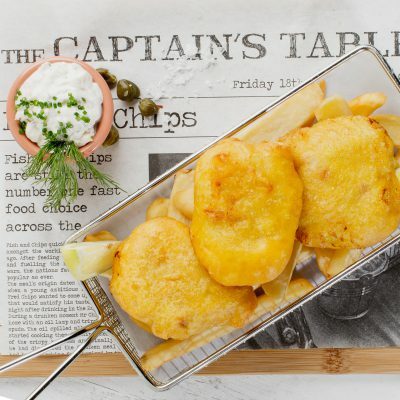 Traditional British beer battered fish served with chips and tartar sauce. We count on one of the largest beer menus you can find. Let yourself be surprised by our large selection of both local and imported beers, perfectly pulled with the love and care that only an authentic Irish pub can offer you. Enjoy the sunset in our terrace with your favourite beer, cocktail or drink. Follow our live music events or have fun with our Karaoke every Friday night. Whatever you choose, a relaxed and friendly atmosphere is guaranteed. We will be waiting for you in the outskirts of El Puerto de Santa Maria, on the road CA-603, Km. 5,5, only a few minutes away from the Military Base (2nd Roundabout outside the Puerto Gate on the left).